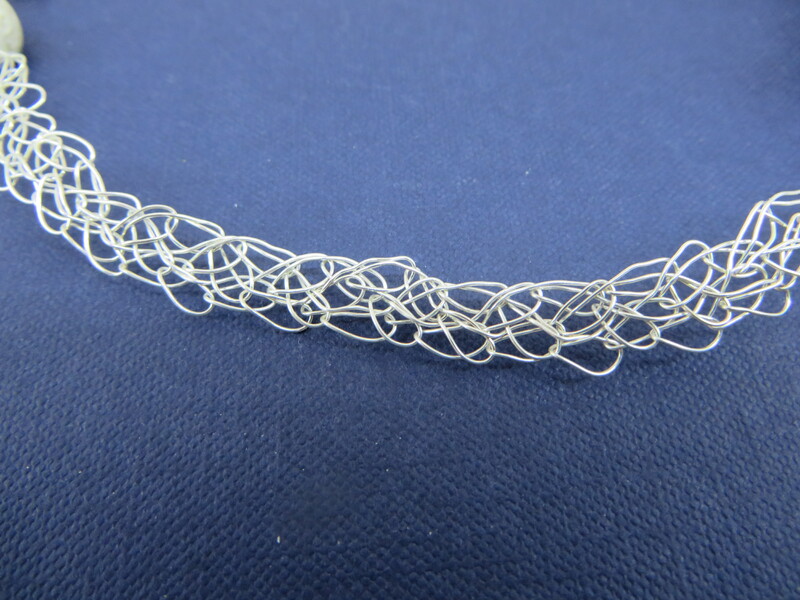 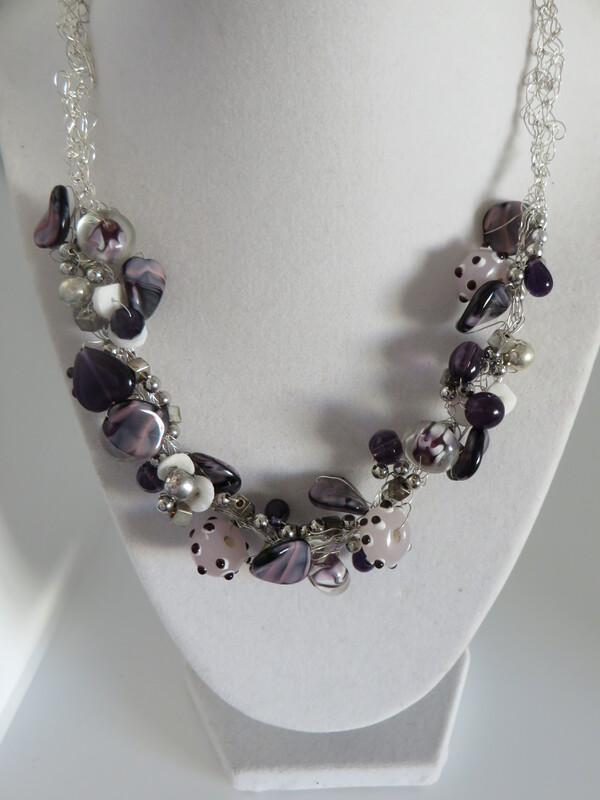 This necklace is 17 inches in length and with a 3 inch extension of silver plate chain and is constructed with multiple strands of crocheted non-tarnish 26 gauge silver wire. 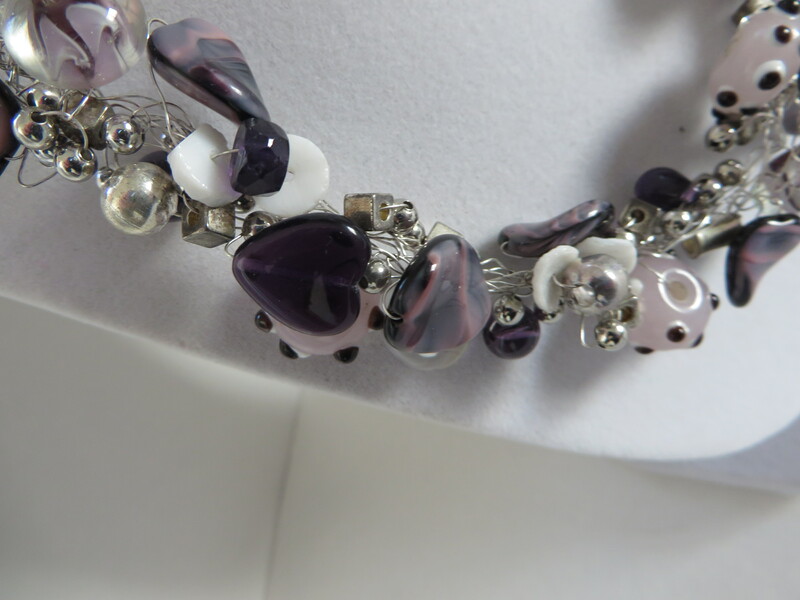 It is one-of-a-kind and is finished with a lobster clasp. 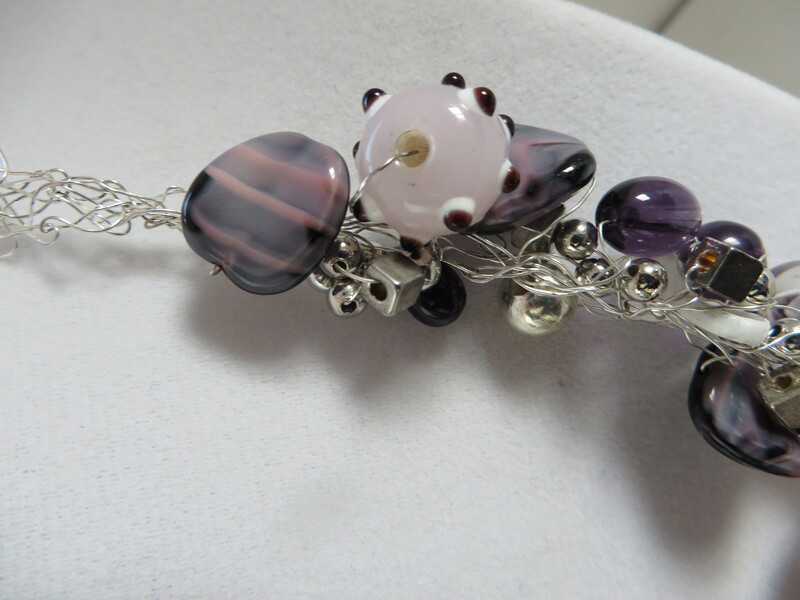 The beads are a variety of glass purple and pink, small silver and white chips. 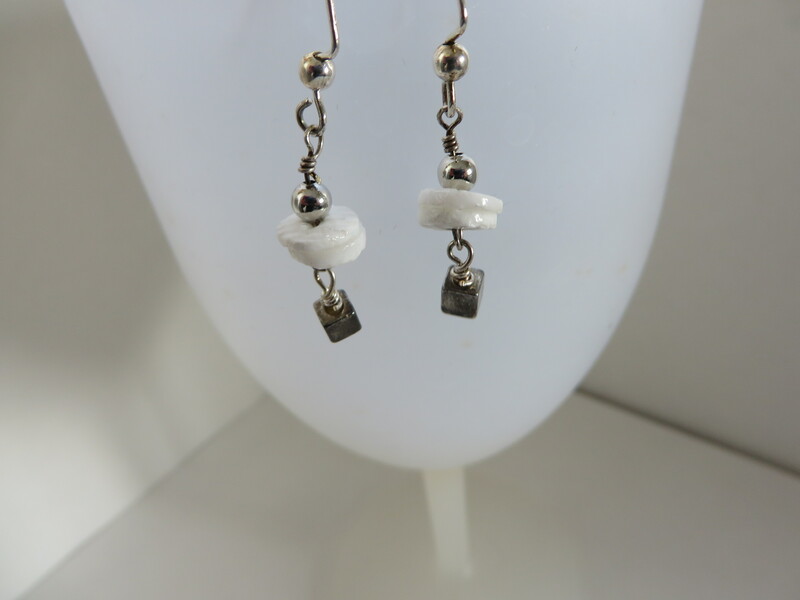 Earring wires are silver plate. 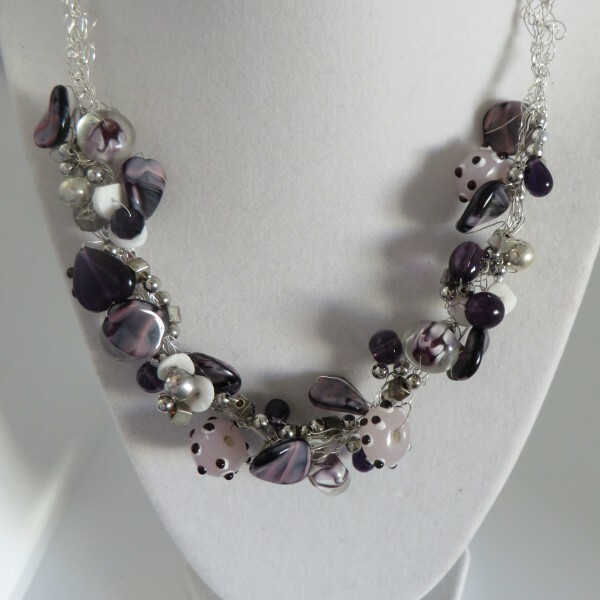 Add a bit glamour to any outfit with this necklace!